Depending on the grade level of your student or child, a math word problem may involve simple addition to complex rate problems, and everything in between. 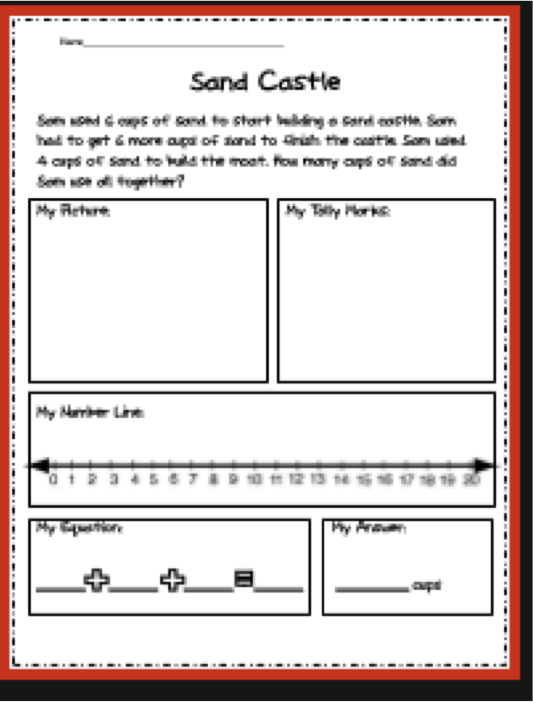 This week’s blog will explore as many different resources as possible to support word problems in a comprehensive way. The first website that I offer is http://www.brightstorm.com/math/. This site has video demonstrations of just about every type of math problem in algebra, geometry, algebra 2, trigonometry, precalculus and calculus. 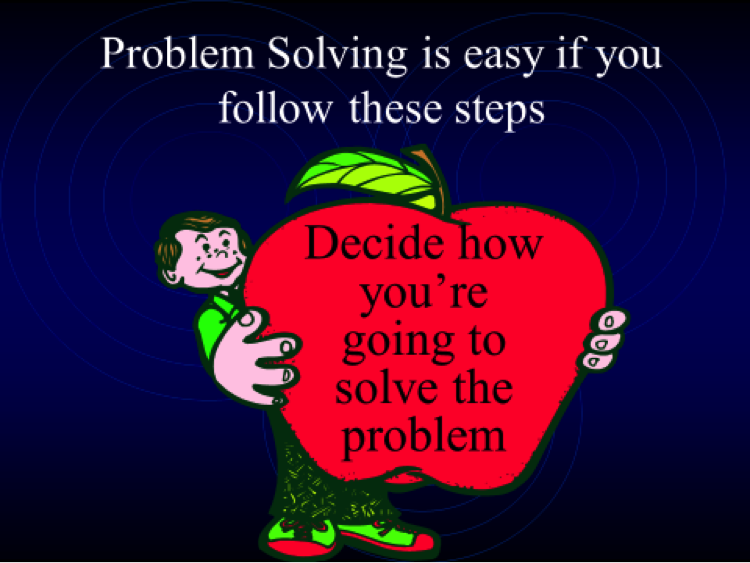 You can also enter your own problem and get a solution. 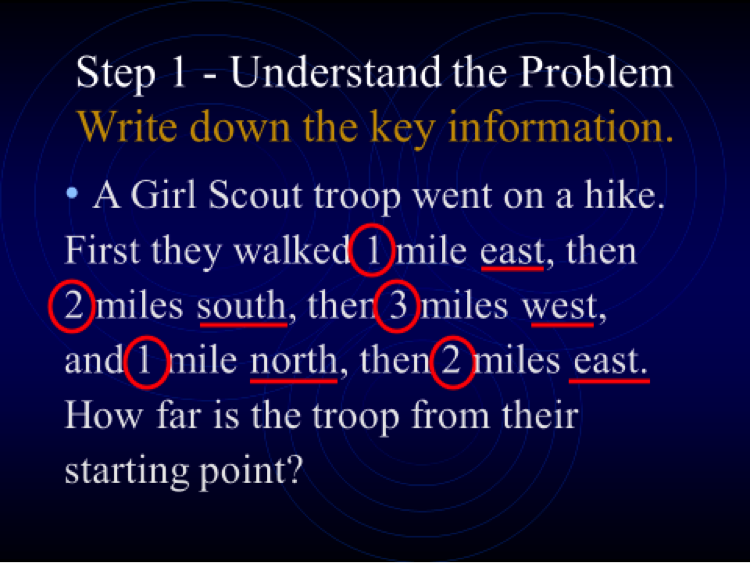 For $4.99 a month, you can get an interactive online tool that will show you the steps to solving any math problem you enter. 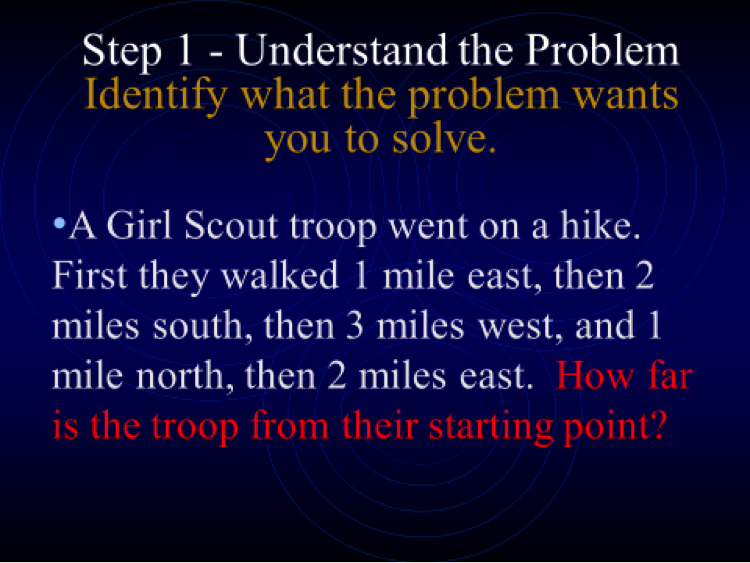 Identify what the problem wants you to solve. Ask if your answer is going to be a larger or smaller number compared to what you already know. Go to http://www.lexington1.net/technology/?page=instruct/powerpoint.htm for the rest of the PowerPoint. I also recommend the following website for a comprehensive approach to math word problems: https://autismsocietyofnc.wordpress.com/2010/02/09/math-word-problems-taking-tests/. Through the use of visual cues [highlighters, boxes], translation words, and social stories, a parent has helped make a plan for success. The following website has an extensive library of math resources to capitalize on strengths and interests related to computers: http://mdusdautism.weebly.com/math-websites.html. 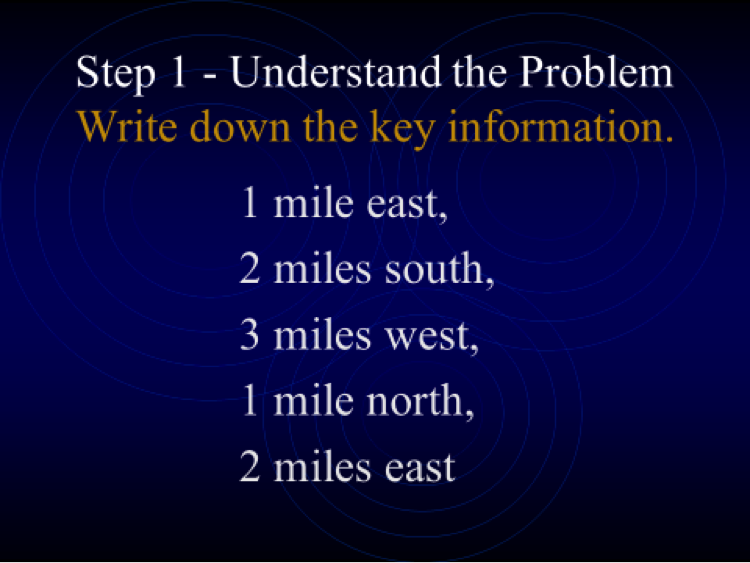 If you have a wonderful tool or strategy for solving word problems, please share!